Still RAW: [12M] 4288x2428 pixels. JPEG: [12M] 4288x2428 pixels, [10M] 3936x2624 pixels, [6M] 3072x2048 pixels, [2M] 1728x1152 pixels. 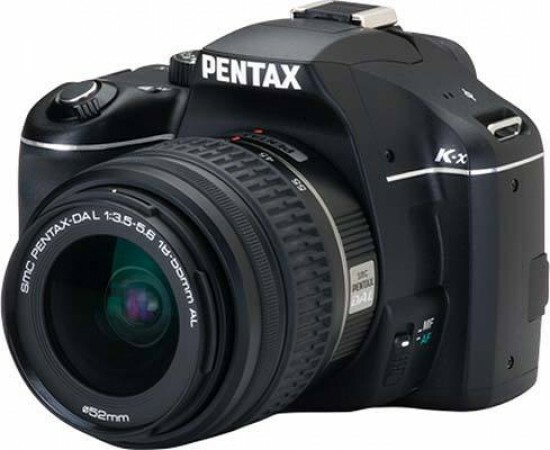 Usable lenses PENTAX KAF3-, KAF2-, KAF-, and KA-mount lenses. * Power zoom function is not available. K-mount lenses usable with restrictions. S-mount lenses, 67/645 lenses usable with adapter and with restrictions. Functions AF.A(auto), AF.S(single, with focus lock), AF-C(continuous)*, Manual focus. * Auto Picture and Picture mode: only when the Action mode is selected. * Scene mode: only when the Kids, Pet, Stage lighting and Night snap mode are selected. Bulb Picture modes: Portrait, Landscape, Macro, Action, Night scene portrait, Standard Flash-Off Scene Modes: Night Scene, Surf & Snow, Food, Sunset, Kids, Pet, Candlelight, Museum. Auto Exposure Lock This function can be allocated to AF button in Menu. Source Four AA (lithium, alkaline, and rechargeable Ni-MH) batteries Optional AC adapter also available. Playback time: approx. 350 minutes*2 *1 Recording capacity shows approximate number of shots recorded during CIPA-compliant testing. Actual performance may vary depending on operating conditions. *2 According to the result of PENTAX in-house testing.